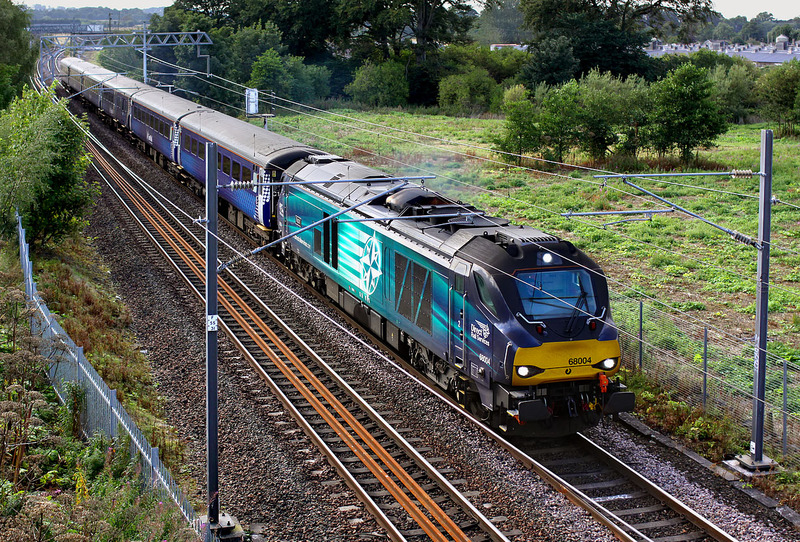 68004 Rapid passes Gogarbank on 30 August 2016 with the 5G13 15:00 Motherwell to Edinburgh ScotRail ECS. This picture neatly explains why I detest 25kV overhead lines, certainly as far as photography is concerned. However, being over 350 miles from home, I am not likely to see too many DRS locos on ScotRail Saltire liveried stock, so this is included purely as a record.